This easy apple cake recipe uses a hint of cinnamon for a robust flavor and savory aroma. 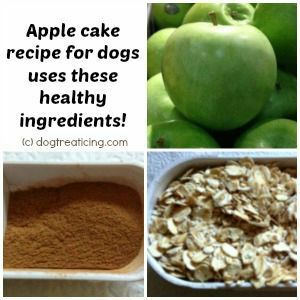 All natural pet-friendly ingredients make this a healthy recipe for your furry loved ones. Granny Smith apples have a tart taste and are a good complement. However, you can use any kind of apples you desire. Fold in the apple, cinnamon and half of the whole oats until well mixed. Take the remaining whole oats and sprinkle on top. Frost with Fido's Frosting dog treat frosting. Add the apple, cinnamon and oats and mix together. Do you intend on selling your cake? You may wish to consider prolonging shelf-life with a mold inhibitor. 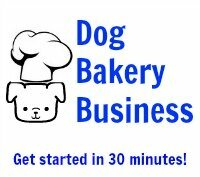 Be sure to see other dog cake recipes and the accompanying videos that show how easy it is to make these savory treats! 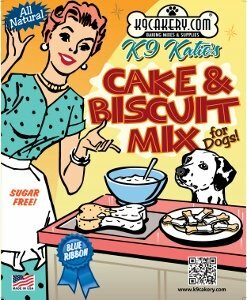 We only use healthy human ingredients in the recipes provided so you do not have to worry if you can share with your pet. You can add any ingredients you desire. You are the baker so you will know exactly what ingredients have been used!